Jordan Fisher is an actor, singer and dancer (and our frequent Man Crush Monday) maybe best known as Seacat in the Disney Channel Original Movie Teen Beach Movie. Jordan recently signed with Hollywood Records and guest stars in tonight&apos;s episode of Liv and Maddie, and we chatted with him to get the inside scoop! 1. I&apos;m going to have to go with my high top Supras. Purple&apos;s my favorite color and Supra is about individual style and having people be proud of what they wear. Supra offered to send a pair, which I&apos;m so grateful for. I went online and it took me no longer than 2 minutes to come across the right ones. They&apos;re high tops, half suede, half leather sneakers and they&apos;re super comfortable. They&apos;re Supra comfortable. 3. My lock screen is some fan art of my favorite video game in the world, Kingdom Hearts. It changed my life in a lot of ways. The soundtrack of the first game back in 2002 got me into music in the first place. Iit really helped amplify my love for Disney and for gaming honestly. My dog is actually named after the main character of that game. And then my home screen is the Knicks. I&apos;m a die-hard Knicks fan. What&apos;s your astrological sign and what does is say about you? 4. I&apos;m a Taurus. We are logical thinkers and we&apos;re future thinkers, constantly planning for what&apos;s down the pipe and what we want long-term. We&apos;re family-oriented people. All of that is true where I&apos;m concerned. I&apos;m really close to my family and my number one dream in the entire world is to get married and have kids.That&apos;s success to me. We&apos;re also hardheaded and stubborn, but most of the time that&apos;s not me. I might be very opinionated about something but if you gave me a really good argument, I&apos;d be open to hearing it and taking it into account. It&apos;s pretty accurate, for the most part. I don&apos;t 100% believe in all of that stuff, it&apos;s just fun to know! 5. I love Family Guy. I&apos;ve been watching it since I probably shouldn&apos;t have. It cracks me up. I&apos;m a big anime fan, I&apos;ve been watching Naruto since it started airing a long time ago. In terms of my 90s kid thing I loved Doug, Recess, Pepper Ann and Ed, Edd and Eddy. I loved The Powerpuff Girls. I had a crush on Bubbles back in the day. Dexter&apos;s Lab, Cow & Chicken. SpongeBob, when it first started airing. There&apos;s a lot of them. I feel like I really grew up in the golden age of animation. My all-time favorite animated anything of all time is Anastasia. What&apos;s your favorite guilty pleasure movie? 6. 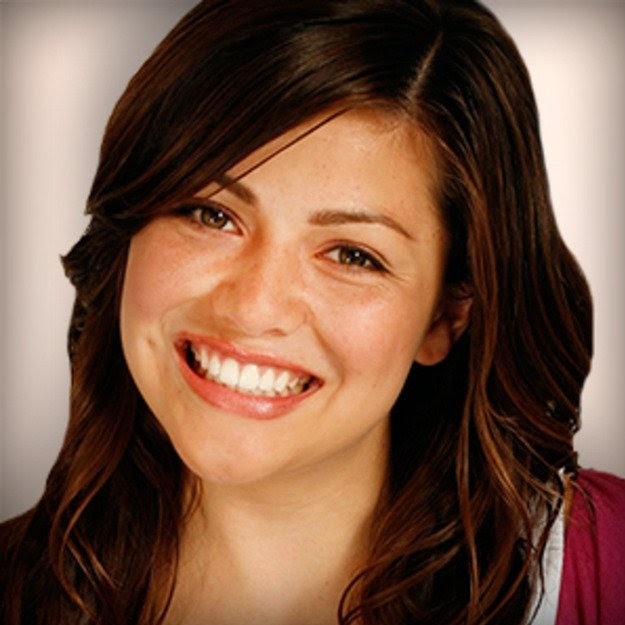 From Justin To Kelly. Kelly Clarkson and Justin Guarini did this movie right after the first season of American Idol and I think Simon Fuller thought that he was going to be able to make a movie with every winner and runner-up from American Idol. It was the first movie that made me go act and sing and dance and make that my life. It moved me in ways other people probably didn&apos;t experience. I&apos;ve unashamedly owned four copies of that movie. I owned a VHS copy that I lost and then I got another VHS copy, burned it out. Then I got the DVD, found the old VHS copy so I still have that, and then I burned the DVD copy out. When I got Apple TV the first movie I bought was Anastasia, and then From Justin To Kelly, and then Space Jam, but that&apos;s another story. 7. I&apos;m descended from an English family so I think London is definitely on my bucket list. I want to go see shows at the West End and just spend time in London. Also growing up as an anime fan, tea enthusiast and a huge video game nerd, I love Japanese culture. I used to work at Gamestop, and Tokyo is the gaming capital of the world. I want to go hike Mount Kyoto and go to a bunch of hot springs. I actually wrote a song for a Japanese artist called Tomohisa Yamashita so I have a goal of going over there and being able to see him perform that song, live. Beyond that, Nashville. I haven&apos;t been there since I was 4. It&apos;s the music city and I have a bunch of friends that live and work over there and I&apos;d love to go and experience that. It&apos;s been a blast. I&apos;m in a really lucky, fun situation where I get to go work with my friends everyday. It&apos;s a blast going into the show already knowing 80 or 85% of the cast and the production team. It&apos;s been a big, warm, loving experience and I&apos;ve been having the time of my life. He grew up down the street from Liv and was your average annoying kid next door. He had a crush on Liv, but was the kind of kid who ate paste, kind of all over the place. Then he left and went off to boarding school. When he comes you&apos;ll see there&apos;s a connection between Liv and Holden that they didn&apos;t have years before. Holden is a lot like me in real life. I guess when you go to boarding school, you learn how to dress well. His fashion game is always on point. Holden is a nice guy who&apos;s driven, determined, dedicated and intelligent. He&apos;s that guy that you&apos;d like to be friends with. That&apos;s definitely a personification that I try to maintain in my personal life. It was a blast. We had this idea of Holden having a sweet moment with Liv on the show and they presented the song "True Love." It&apos;s a beautiful song with a beautiful rhythm and it&apos;s truly an honor to be able to make it my own. There&apos;s an announcement being made today. I don&apos;t know if I should talk about it out loud! I&apos;ve signed with Hollywood Records. There&apos;s a lot of fun, great music down the road in 2015 and an album next year. I also have a video game coming out this summer called Until Dawn. It was a blast to get to work with a childhood crush, Hayden Panettiere. That took a while to put together but it&apos;s finally coming out and that&apos;s going to be a lot of fun to promote. Then of course Teen Beach 2 in the summer! For even more on Jordan Fisher, stay tuned for a new episode of SweetBeatTV and check out the related stories, and read ALL of the reasons he should be your Man Crush Monday, every Monday, here! Radio Disney Releases Sweet Suspense & Jordan Fisher Jingle! 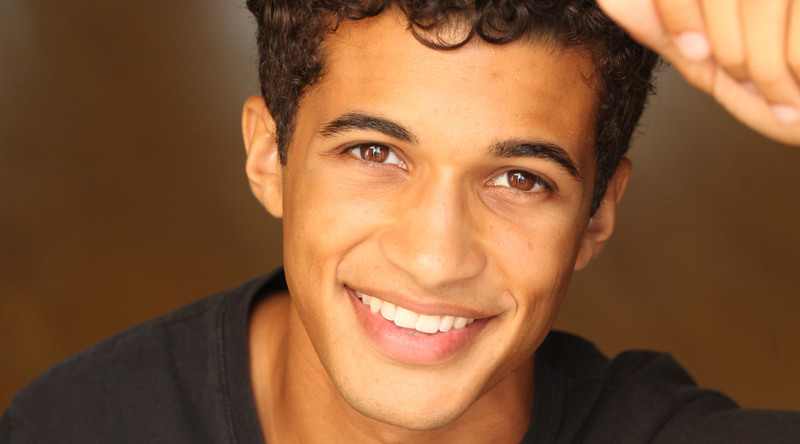 Jordan Fisher On Christmas And The Holiday Pets Campaign!